I much rather 'craft' my pumpkins. 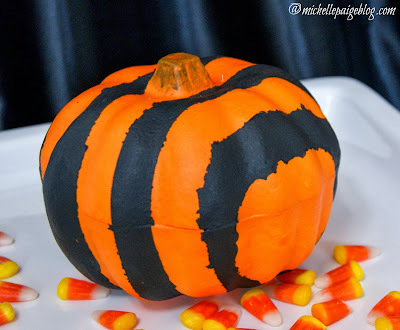 I call these...Fast, Striped Pumpkins. 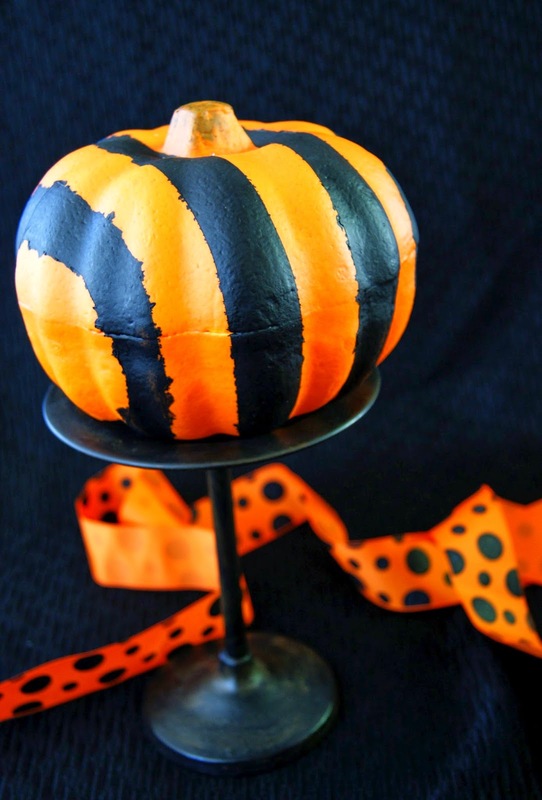 Start out with a faux pumpkin. Mine was purchased from the Dollar Store. Tape off the pumpkin into stripes. 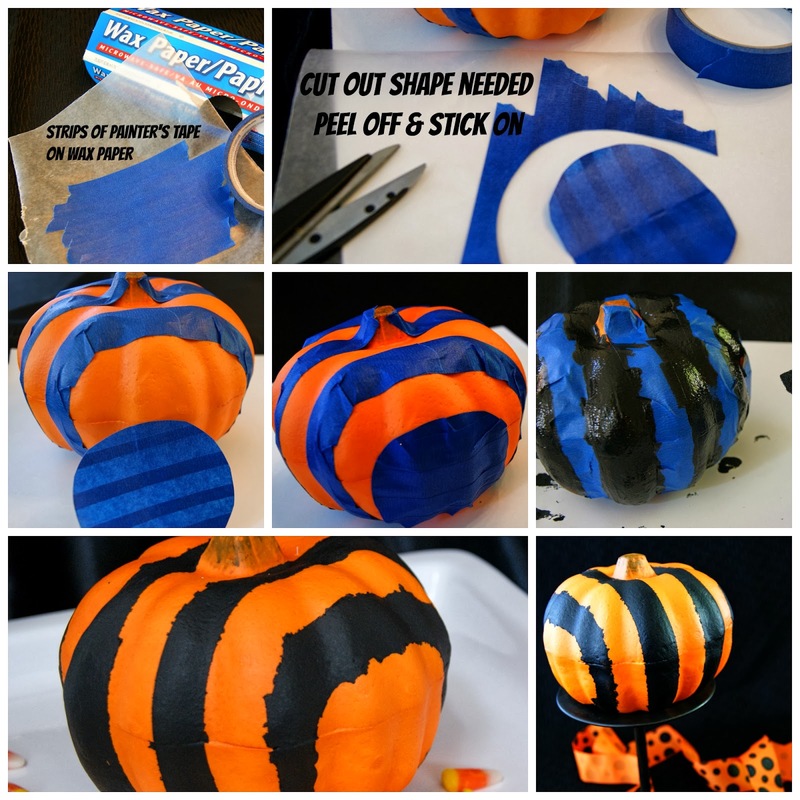 Lay out strips of painter's tape onto a sheet of wax paper. 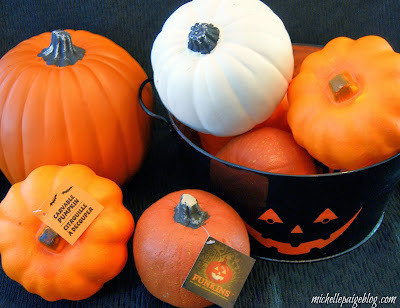 Cut out a round oval shape to fit on the side of the pumpkin. Peel off the wax paper and stick on the oval shape. 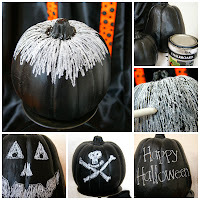 Paint pumpkin with black paint. It's OK if the paint seeps through under the tape a little. I personally think it looks creepier that way. If you don't like it, touch it up with a small paintbrush dipped in black and smooth is out.